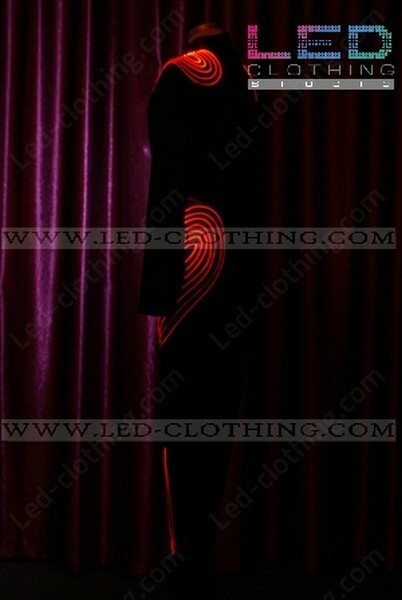 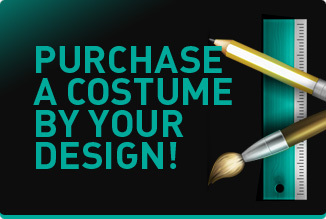 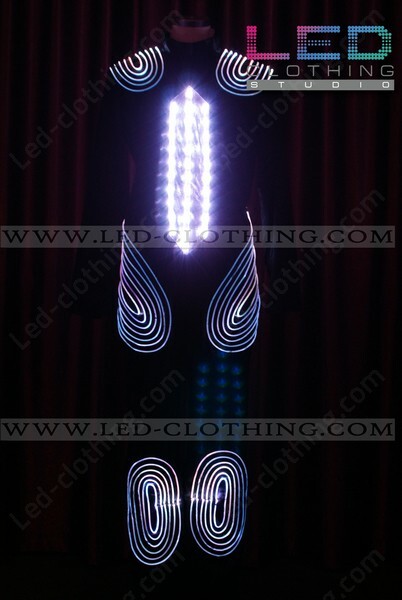 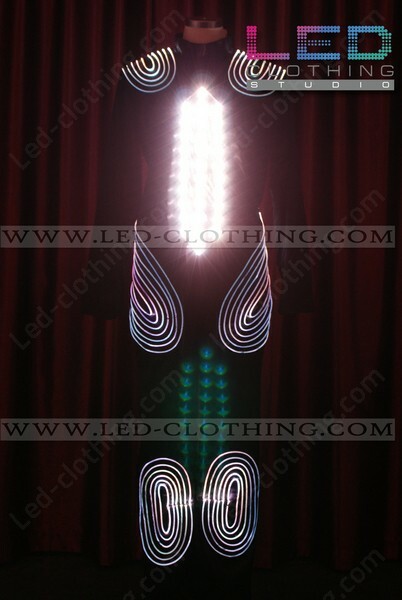 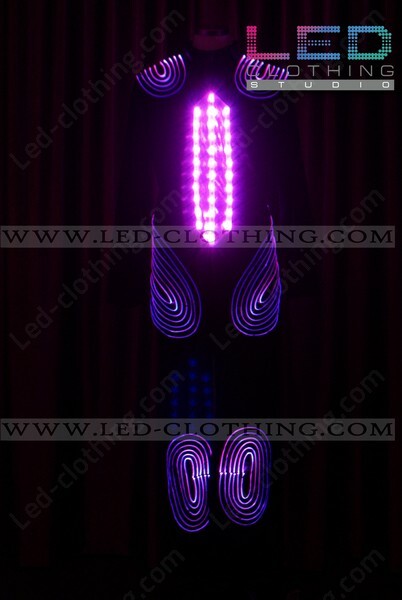 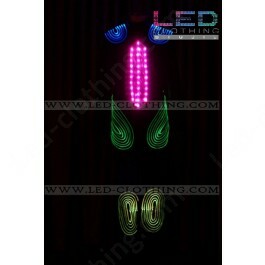 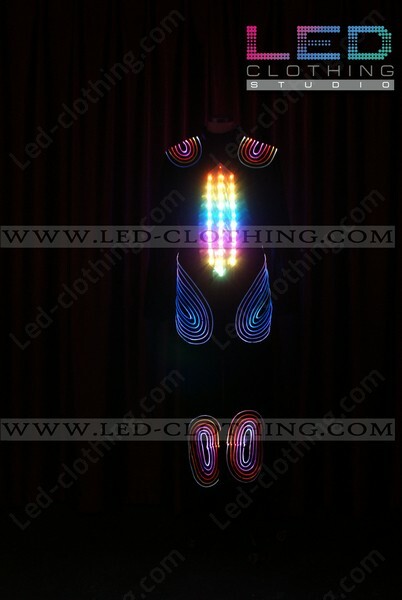 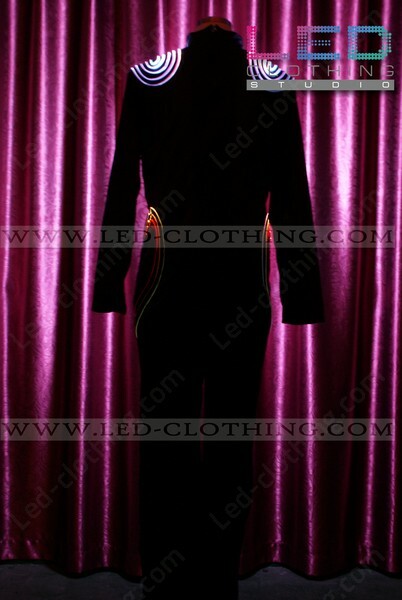 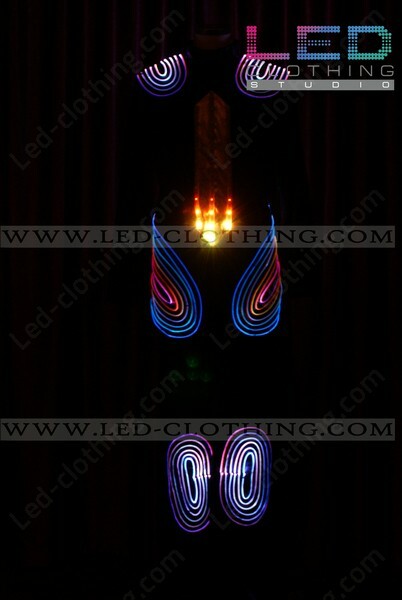 Mystery digital LED & fiber optics suit | LED Clothing Studio Inc.
Keep it bright with our new mystery digital LED fiber optic suit. The costume features a high durability elastic jumpsuit with shoulder, hips and knee pads, braided with fiber optic wires and RGB super bright LEDs decorating chest. 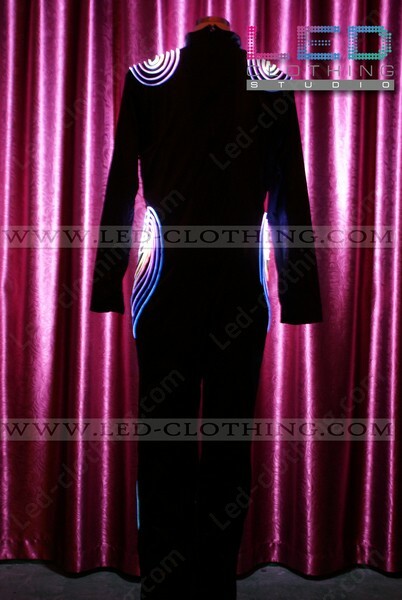 Designed as a part of our wearable technology line this Mystery Digital LED and fiber optic suit will accompany you not only at night shows and performances but also be a reliable friend on the Halloween night. 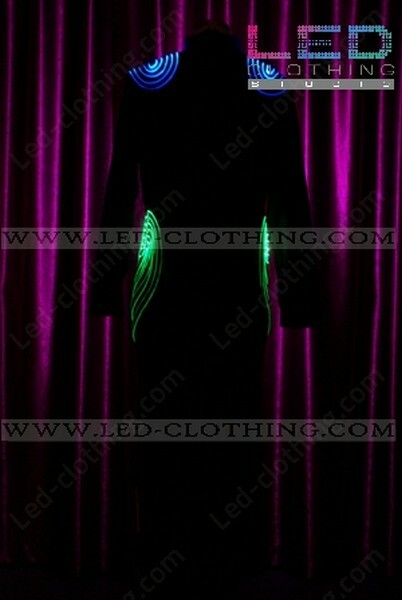 The mystery LED fiber optic suit radiates with all colors of rainbow and gives you a chance of a whole lot of luminous patterns to try.